Follow this link to learn more from the KidSMART website about SMART ways to stay safe and have fun online! 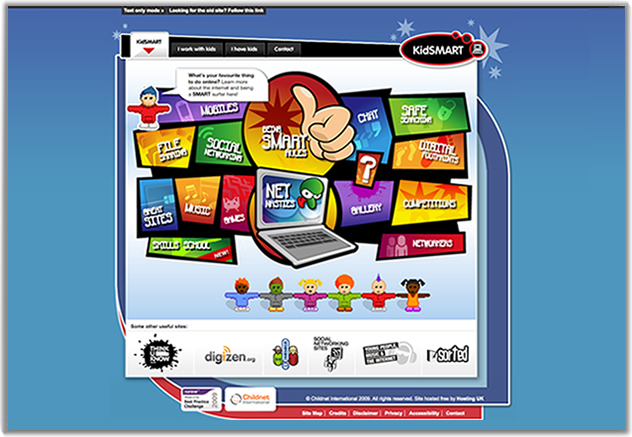 You will leave Childnet's Digizen website and be taken to Childnet's KidSMART website. Visit Childnet's KidSMART website for children, young people and adults to learn how to get the best out of the internet. On this website you can watch films, listen to songs, learn the SMART rules, find lesson plans and join in activities that will help you to stay safe when you are online.